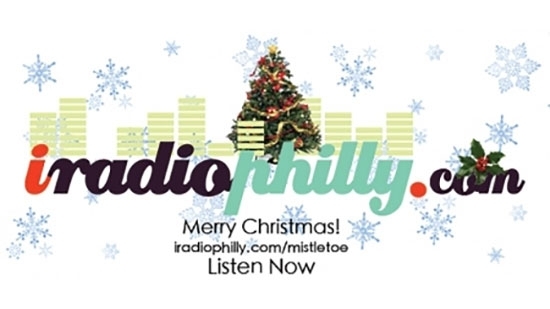 Philadelphia's Christmas music radio is on iradiophilly. Join us this season as you celebrate the holidays. Mistletoe is iradiophilly's 24 hour Christmas music station. Mistletoe features all the most popular classics from Bing Crosby, Burl Ives, Dean Martin, Tony Bennett and Nat King Cole. Mistletoe also includes newer favorites from Justin Bieber, Mariah Carey, Michael Buble and Taylor Swift. Philadelphia's Christmas Music is on 24/7/365 on Mistletoe - Continuous Christmas Favorites. Our station that usually features the singers and swingers from the Rat Pack to Right Now, Martini Lounge, will host a 30 hour Christmas Spectacular starting at 6 pm on Christmas Eve through Midnight Christmas night. Hear just the classics from the greats like Frank Sinatra, Tony Bennett, Dean Martin, Ella Fitzgerald, Al Martino, Burt Ives, Johnny Mathis, Peggy Lee, Harry Connick Jr, Jimmy Durante, Steve & Eydie, and Cary Grant. Tune in on Martini Lounge at 6 pm 12/24. Indie Rock Y-Not Radio will turn on the Y-Not Xmas Shuffle at 6pm Christmas Eve for 24 hours of a unique mix of holiday music. Tune in for something slightly different than the traditional. Also hear the Y-Not Philly Holiday Special featuring new Christmas music from Philadelphia area artists on Wednesday 12/23 at 10am and 11pm or Christmas Day at 3pm. A special 6-hour Christmas edition of Michael Tearson's Marconi Experiment will air on Christmas eve! It will play from 6pm-Midnight on 12/24 on The Plateau. It will feature the 2013, 2014, 2015, and 2016 holiday shows. It will also repeat at Midnight and 6 am Christmas Day. iRadioPhilly is home to brand new radio stations serving Philadelphia. Stations include Top 40, Oldies, 70's, Pop Hits, Local Artists, Adult Standards, Indie Rock, and more. Listen to iradiophilly online at iradiophilly.com, on our FREE Android or iPhone apps, on TuneIn Radio, or on your standalone internet radio. Merry Christmas from everyone here at iradiophilly!